Netflix has released a trailer for their new version of the One Day at a Time comedy series. It’s a reimagining of the sitcom that aired on CBS from 1975 until 1984 and was co-created by TV legend Norman Lear. He’s an executive producer on the new version. Word is that original series star Mackenzie Phillips has a role in a first-season episode. This is it! This is life, the one you get, so go and have a ball — and enjoy your first look at Netflix’s much-anticipated original series One Day at a Time with the season one trailer and official key art! One Day at a Time launches Friday, January 6th, everywhere that Netflix is available. A reimagining of the iconic Norman Lear’s classic sitcom, One Day at a Time is a hilarious and heartfelt comedy that follows three generations of a Cuban-American family sometimes-reluctantly cohabitating and navigating the ups and downs of life. A newly-single mom and military veteran journeys through the triumphs and tribulations that come with raising two strong-willed, mega-millennial children, all the while enlisting the “help” of her old-school mother and her building manager-turned-invaluable confidante. Through an contemporary lens, One Day at a Time offers a glimpse at what life looks like, in good times and bad — and how those around you somehow make it all worthwhile. Rita Moreno, Justina Machado, Stephen Tobolowsky, Todd Grinnell, Isabella Gomez and Marcel Ruiz star in this fresh take on a classic. Gloria Calderon Kellett and Mike Royce executive-produce and are co-showrunners alongside executive producer Norman Lear. What do you think? 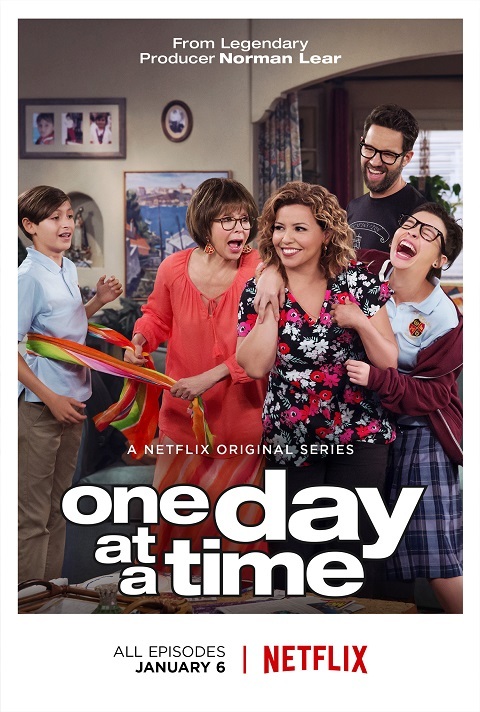 Have you watched the original One Day at a Time TV show? Do you plan to check out the new version? More about: One Day at a Time (2017), One Day at a Time (2017): canceled or renewed?